New times make the Parque Hotel Jean Clevers and ideal meeting point for business meetings and business presentations at national and international companies. We put all our technical and professional knowledge, offering a diverse range in equipment, so your business meeting will success. Equipped with meeting rooms with grate ability and possibilities, Parque Hotel Jean Clevers, is an ideal place to successfully carry out any professional event proposed. 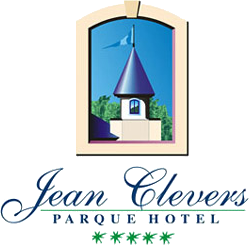 If in the rest of our guests we put all our efforts, we also offer all the means to those who come to Parque Hotel Jean Clevers to work. Gala dinners, welcome cocktails, breakfast and lunches meetings, coffee breaks during the working sessions, takes place at the Parque Hotel Jean Clevers.